It was supposed to be a dream trip shared between two retired teachers. For longtime Santa Maria area residents, Harold Horn and his wife Paula, experienced an eye-opening trip of a lifetime in Northern Europe. Touring through the narrow, cobblestone streets of Germany, the former school teachers soaked up every intercultural minute. However, while bike riding in the middle of the uneven surface, Harold fell and hit the back of his head on the street. Even with the helmet, he was still dazed from the force of the fall. “At first, I thought I was dead,” Harold chuckled. “I thought, at least I wouldn’t have to ride back in the ninety degree weather to our ship!” After returning to their cruise ship, Harold appeared to be fine and they toured for another 10 days in Europe. Life resumed for the Horns when they returned home. It wasn’t until a few weeks later that Harold hit his head again while moving items in his garage. Sensing that he was not himself, Paula took Harold to the Emergency Department at Marian Regional Medical Center. 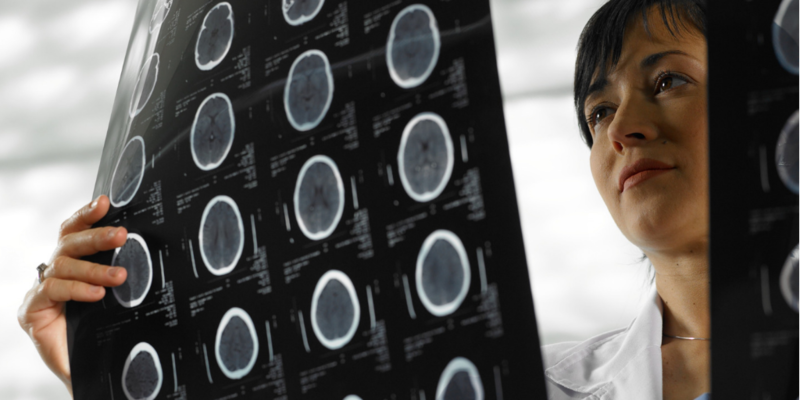 While being treated by the Emergency Services team, a CT scan resulted in his referral to Matthew Schreckinger, MD, who was able to identify bleeding in his brain. Not only was there evidence of recent brain injury, but there were also signs of injury due to his fall in Germany. Harold was recommended for surgery shortly thereafter by Dr. Schreckinger to remove the sustained pressure in his skull and enable his healing. Harold stayed at Marian for observation after the neurological surgery and slowly strengthened. While he was recovering at Marian, he noticed how the staff he interacted with were of the highest caliber, treating both patients and their colleagues with dignity. “The staff was very professional with me and they also cared for each other. The treatment was remarkably superior with the physicians, staff, and both the day and night nurses. I cannot say enough about the good things I saw at Marian,” Harold recounted. With six children and 11 grandchildren, it is important for Harold to recover and be with his family. “The nice thing is that I have been able to get out of a lot of chores since I have returned home,” Harold said with a laugh. Through the healing work of the Neuroscience Program and Emergency Services teams, Harold is now well on his way to recuperating, with or without chores. 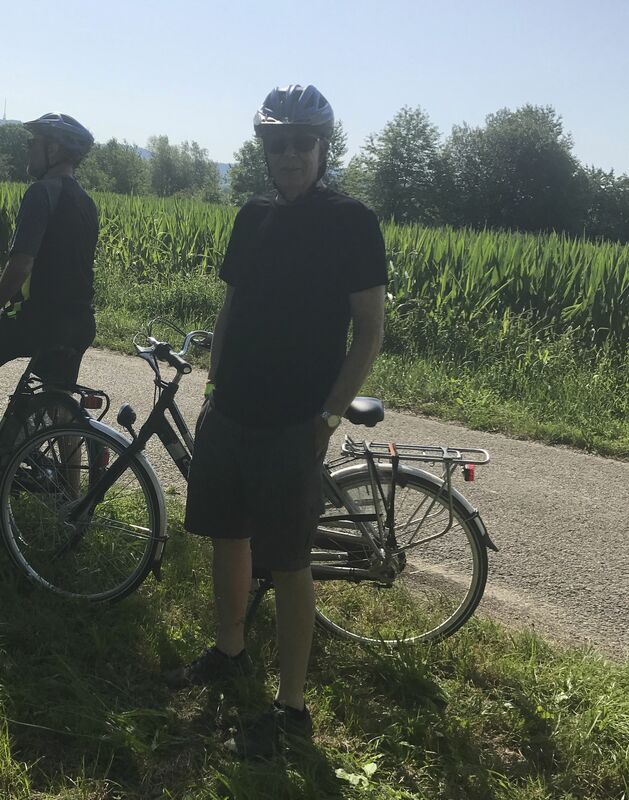 Harold Horn, Marian Neuroscience patient, is pictured with his bicycle in Germany.